This is always a fun photo to take after the wedding. The trick is getting the couple timed correctly to walk across the street without other pedestrians. For this photo I got down low to get an angled shot and tilted the camera just a bit. I sharpened the City Hall sign in the background for effect! One of the slightly humorous things that often occurs is cars getting in our photo. 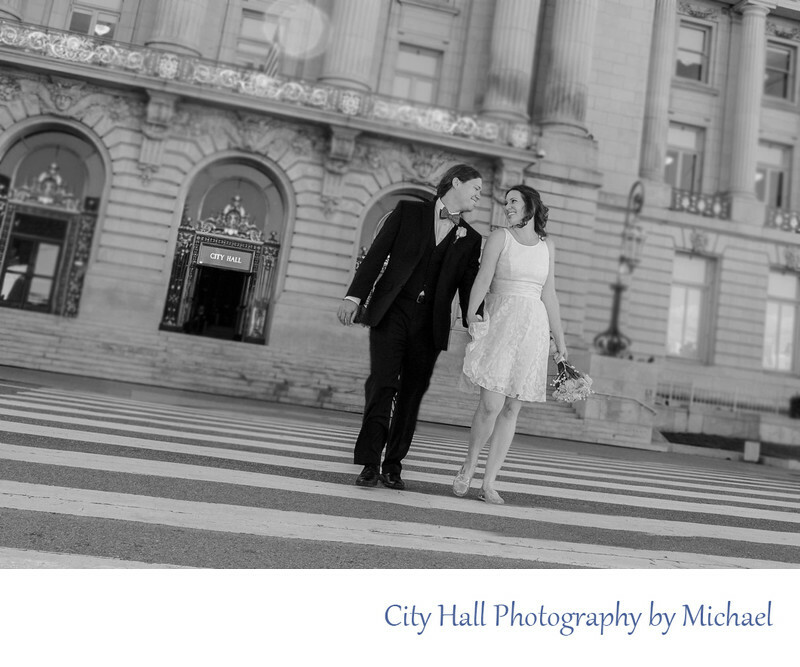 Sometimes over eager drivers creep into the photo before the married couple clears the city hall cross walk. Wedding photographers face unique challenges especially when it comes to San Francisco marriages.